Huw really likes Vaseline. He also likes to be out of his comfort zone (if he even has one); and when these two things collide he is in his element! 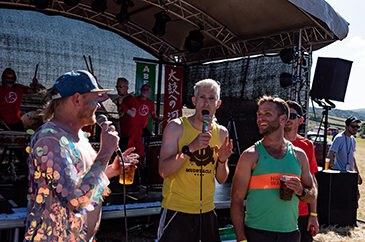 He completed the gruelling Berghaus Dragon’s Back Race, was a BBC Ultimate Hell Week finalist, is obsessed with ultra-marathons and even dabbled in a spot of Cumbrian Wrestling once. He beat a 15-year-old and won £7. 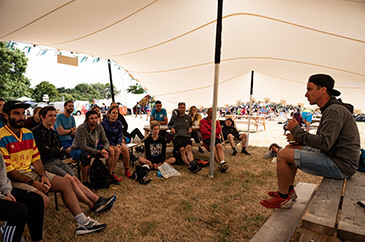 Most recently, his adventure film Ar Gefn Y Ddraig (Riding the Dragon) won the People’s Choice Award at Kendal Mountain Festival 2018. Someone even asked him for an autograph, but things took a turn when Huw tried to charge him. Away from the sporting field, his sheer determination and lust for life has led him to become a respected university lecturer, published sports writer and memorable speaker (mainly due to not having a filter – come prepared for anything).